Have you heard of Neuschwanstein Castle? I hadn’t heard of it until about a year ago and since then it has been high on my list of things to see. This is the original Disney Castle, well the castle that Walt Disney based his Sleeping Beauty Castle on. Although it might look like a fairytale castle, the history is not a Disney story. 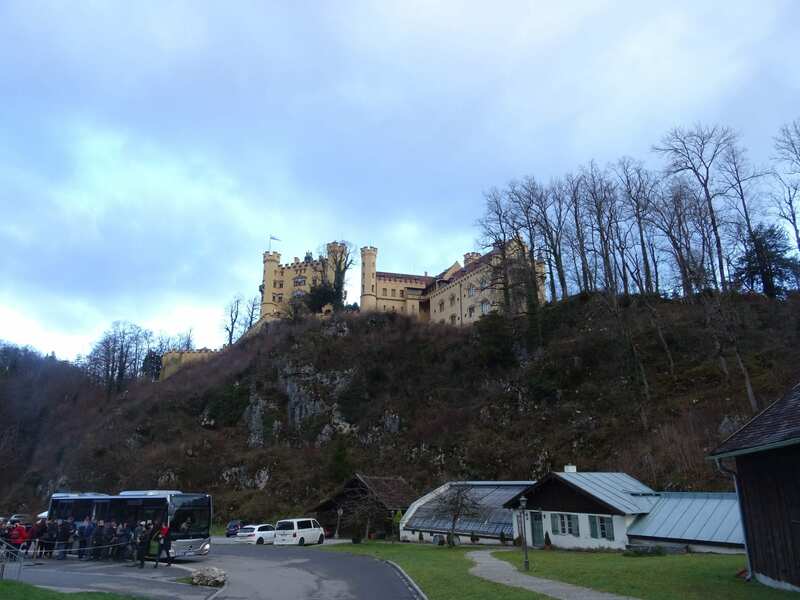 I wanted to not only visit Neuschwanstein, but also Hohenschwangau and the Museum of Bavarian Kings. Well, if I’m going, I may as well see it all. As I visited on a Saturday, I was able to catch the 6:45am train from Munich using a Bavaria Pass. During weekdays this pass is only valid from 10am, but weekends the pass is valid from midnight. This early train meant I could arrive by 9am and make the most of my day. When you purchase tickets to visit the castles, you are allotted times. This is because you can only visit inside with a guided tour. They are very strict that no pictures should be taken inside any of the castles – or the museum – for copyright purposes. 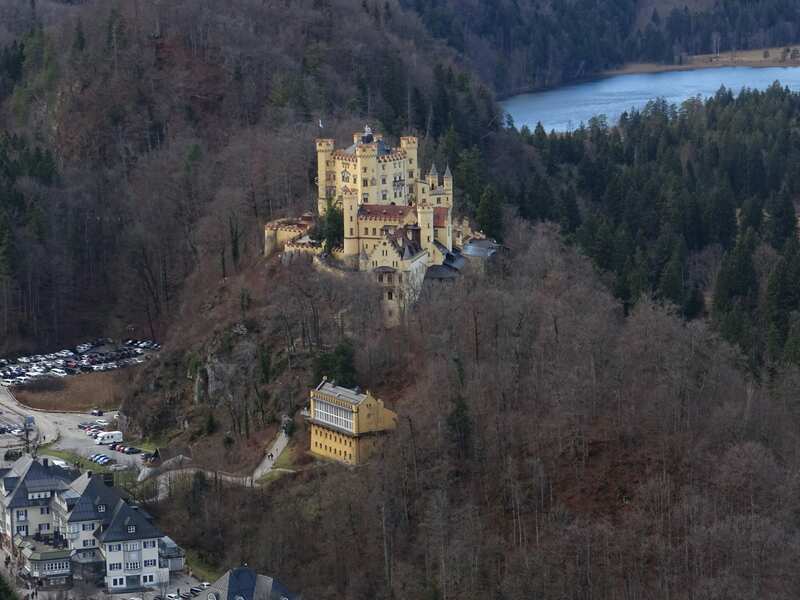 Hohenschwangau Castle is the first of the two fairytale castles that you get a time slot for (if you visit both). 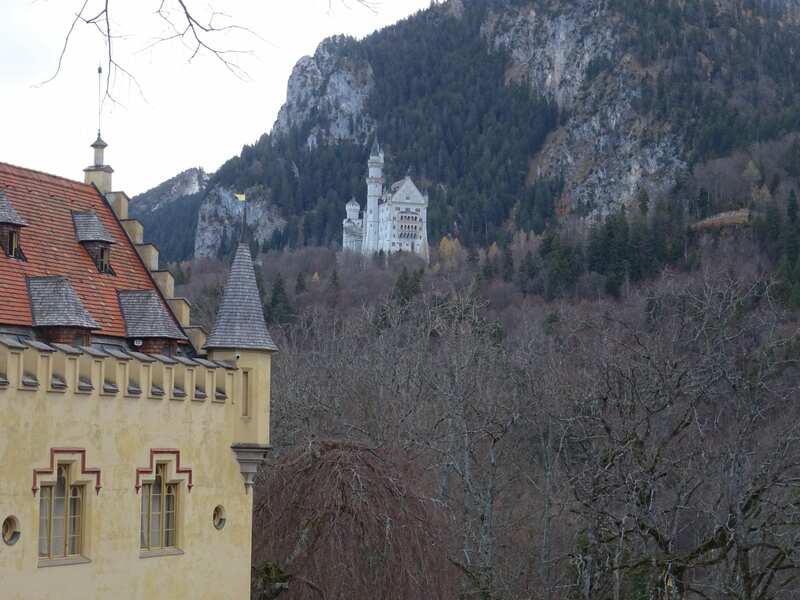 This yellow building can be seen from the village and although it is not as dramatic as Neuschwanstein, it is still imposing. This castle was rebuilt by the Bavarian King Maximilian II in 1832, he had this done according to the original plans. Once finished, the castle became the summer and hunting residence of the royal family, including his son Ludwig II, who is referred to as the ‘Swan King’. The tour only takes in a small part of the castle, but the rooms are lavish. The Hall Of Heroes is decorated with paintings of the Wilkina Saga and there are over 50 swans to be found throughout the Castle, in chandeliers, paintings and more. Well, the name Hohenschwangau means “High Land of the Swans”, so the these birds are prominent in the decorations. 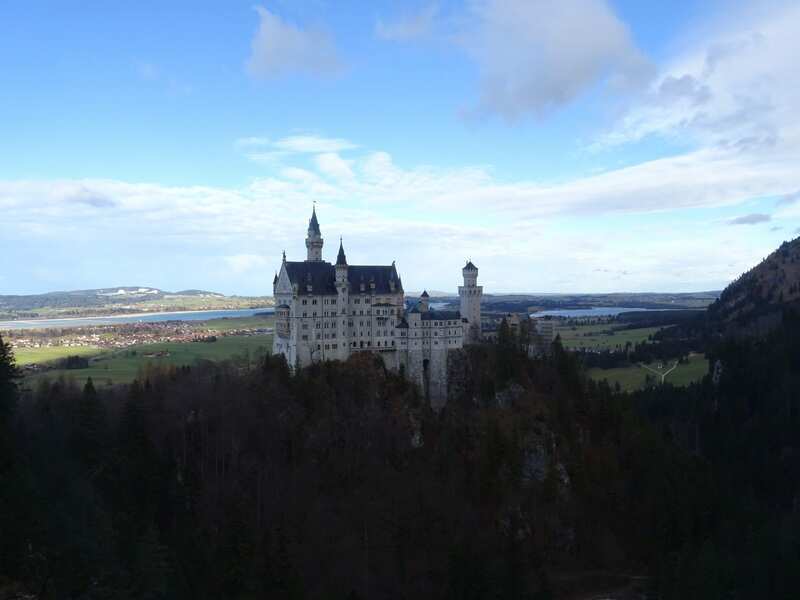 It was Ludwig II that began to build Neuschwanstein in 1869, this castle is placed on the opposite side of the valley and is higher than his parent’s. Ludwig had extremely grand plans for the castle. The white and blue exterior of the castle are the Bavarian colours. Perched on a cliff edge, the castle is certainly dramatic. The tour takes in some of the rooms that are actually complete – only one third of the castle was ever finished. But if the exterior is incredible, the finished parts of the interior are indescribable. A chandelier with 96 candles, a life sized swan, a cave inside the castle and paintings of the Swan Knights. All extravagant. It makes you wonder what the rest of the castle would’ve been like if finished. 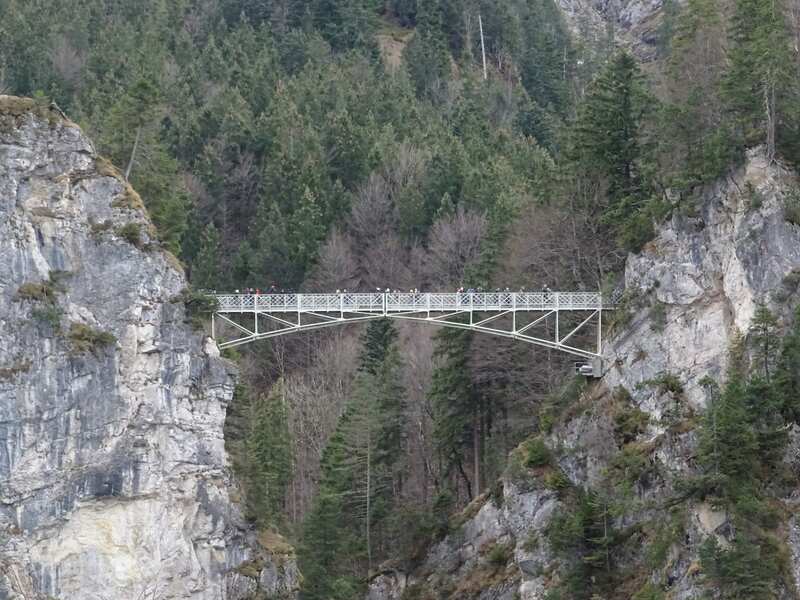 If you want the best picture of Neuschwanstein, you have to go to St Mary’s Bridge (Marienbrucke). This is just a little further past Neuschwanstein. Why Was The Castle Never Finished? This is where the story of the castle and it’s Prince is no longer a fairy tale. Even though Ludwig II used his own money and not the state coffers to build the castle, Bavaria still suffered financially. By 1885 the king was in considerable debt and borrowing excessively, against his financial ministers advice. Ministers rebelled and planned to remove him from the throne stating that Ludwig was mentally ill and so unable to rule. 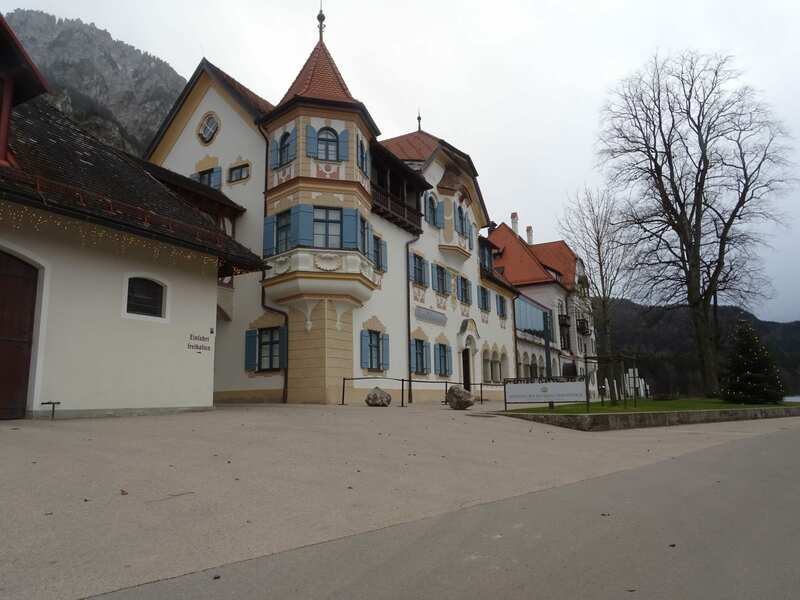 In the early hours of 12th June 1886 the King was arrested and transported to Berg Castle. The next evening the King and one of the doctors that declared him insane went for a walk along the shores of Lake Starnberg. They never returned. Both bodies were found in the lake later that night. Ludwig’s death was officially ruled as suicide, even though he was a strong swimmer as a child and the autopsy showed no water on his lungs. Some say he was murdered by his enemies and others say he did of natural causes brought on by trying to escape. But it is a mystery that we will never know the truth of. Inside the museum, this story can be found. As well as information on all the Bavarian Kings and Queens.